The PD340 flow transmitter with Profibus DP fieldbus interface makes measuring flow and volume as simple as measuring a temperature. All data from the device is transferred to the PLC via Profibus DP. No analogue inputs or high speed counters are needed. The PD385 Profibus interface module is universal for all PD340 meter sizes, ranging from C25 to C102 (1” to 4”). The PD385 can be used with any extended version PD 340, whether it is new or old. – Install the flow transmitter in the pipework. – Connect power and Profibus cables. – Set the Profibus node address before mounting the terminal box. In the Profibus master (PLC), the control system engineer defines the meter size, the measuring unit, and which process values to transfer. This procedure is similar to defining other Profibus devices, such as a temperature transmitter, and is done only once during initial project engineering. Every time the flow transmitter is powered up, the Profibus master will send the setup data to the device, securing that it is configured correctly. 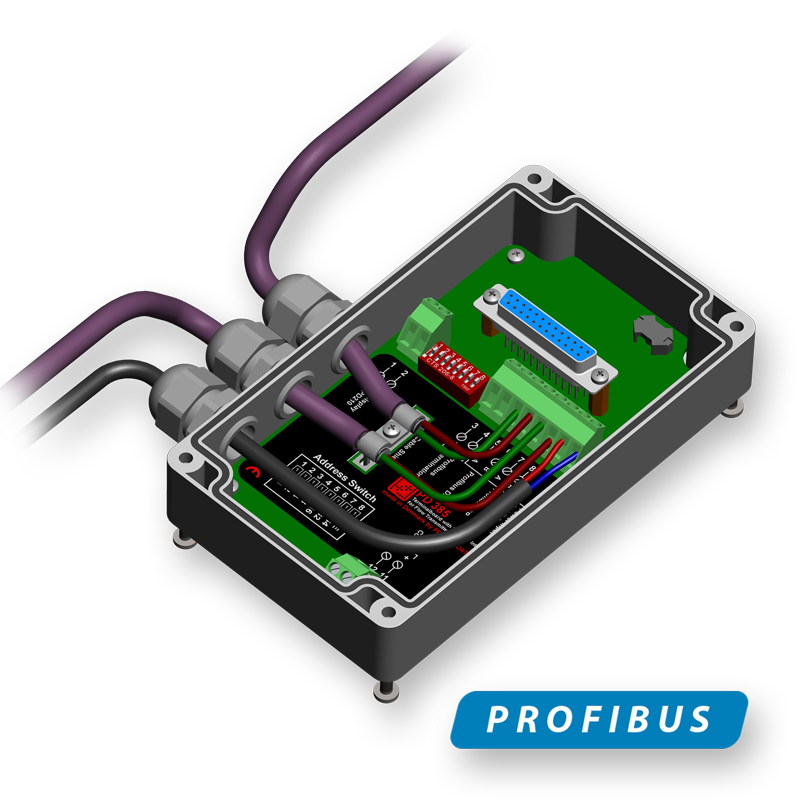 Disconnecting the Profibus interface module from the flow transmitter does not disturb the Profibus communication on the bus. In the event of a flow transmitter replacement, the interface module can therefore simply be disconnected from the old transmitter and connected to the new one. The automatic configuration feature described above ensures that the new flow transmitter will automatically be configured correctly when connected. Furthermore, no assistance from a control system engineer is required. The PD340 Profibus Flow Transmitter can be ordered as a complete ready-to-use unit. Alternatively, if you want to add Profibus DP interface to an existing PD340, the PD385 Terminal Board with Profibus interface can be ordered separately as a spare part, which can then be mounted on any extended version PD 340 Flow Transmitter.